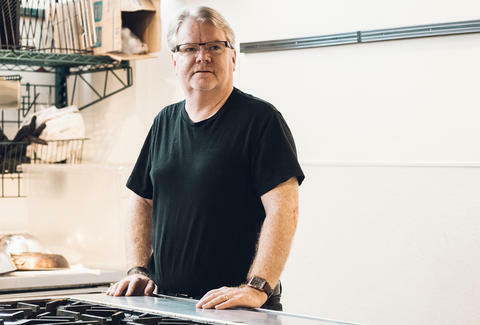 Mike Curtin calls himself Washington, D.C.’s food fighter. 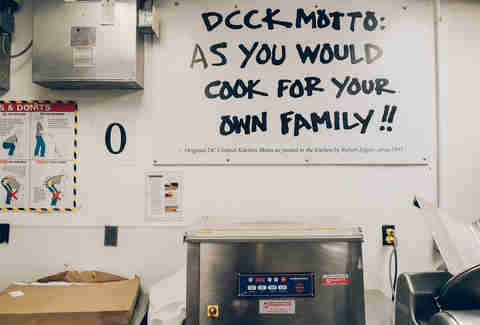 It's a title he earns every day by feeding the city's needy through his organization, DC Central Kitchen, a nonprofit located just a few blocks north of the U.S. Capitol. Curtin's staff takes leftovers found at local restaurants, wholesalers, and farms and converts those items into more than 5,000 meals a day. Curtin works with a unique class of chefs and line cooks at DC Central Kitchen to prepare these meals daily. Most of his staff comes from DC Central Kitchen’s Culinary Job Training Program. These are students who come to the kitchen having never used a spatula or whisk before. Curtin offers his students job skills that can lead to a steady paycheck and a second chance on life -- less than 2 percent of his students return to prison after graduation. According to Curtin, the power of food can help unite communities and people from all walks of life. You were originally a restaurant owner before leading DC Central Kitchen. What did that experience teach you? My goal was always to create a sense of community. To be a place where people in the neighborhood would know that they could come together. My restaurant supported that community. There wasn’t one week where my business wasn’t helping other organizations, whether it was the PTA, the little league team, or the church bazaar. Restaurants have always been the cornerstones of communities. Food has a power to bring us together around a table where we can explore and understand that which unites us. Today, especially, there’s a lot that divides us, but what we really need to do is get back to the roots of our community. Food has the power to do that. How has food been a force within Washington, DC? Well, right now DC Central Kitchen has four classes for kitchen and job training. We also do three classes remotely to engage more folks throughout the community. I want to get people ready to work and make them feel empowered. We are focused on growing our social enterprise businesses. We do contract meals and catering which has seen significant growth in the last few years. We also have expanded our work with DC Public Schools. During the school year, we provide locally sourced, scratch-made meals in schools around the city. That contract accounts for $5 million in revenue and has created more than 50 jobs, many of which employ graduates from our culinary job training program. We’ve moved past the business of advocating for people, and we are actually hiring our graduates, getting them to a place where we grow on our own. It’s a great way for other businesses to see how it works, and see the value that it can make. What’s one thing you’re particularly focused on right now? Well, as you just heard I’m really focused on empowerment through food. There are many individuals who want to be part of our community, but it can be difficult to get them to a place where they get that first job. Many of the men and women that we work with are coming out of incarceration periods. If you think about it, there’s an insane amount of money spent on prisons, and the recidivism rate in the United States is incredibly high. We have to fight to create opportunities for these men and women, so they can move forward and work to a life outside of prison. People can change and want to change. Another area of your work is food waste. How have Americans begun to change the way that they look at food? What’s fascinating for me, and rewarding, is that the issue of food waste is becoming much more of a topic of concern. We’ve been at this fight for over 27 years, and it’s only been in the last couple of years that we are seeing traction on the issue. There’s been an explosion of interest within the local food movement. Food is seen as a sustainable thing now, and we have chefs talking about food waste. If we are all aware of food in our communities, then we can really have significant impact. For us, it’s great that people are having these conversations because 40 percent of the food that we get goes to waste, and 50 million people in the United States are worrying about where their next meal is coming from. Those two facts don’t square up. It’s simply wrong -- profoundly wrong. Every beer brewed at Casa Modelo is brewed with the fighting spirit that recognizes hard work, quality and flavor. 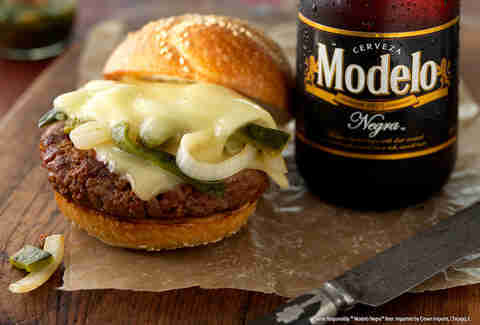 It’s hard work that inspires Casa Modelo to fight for better with every batch of Modelo Negra. 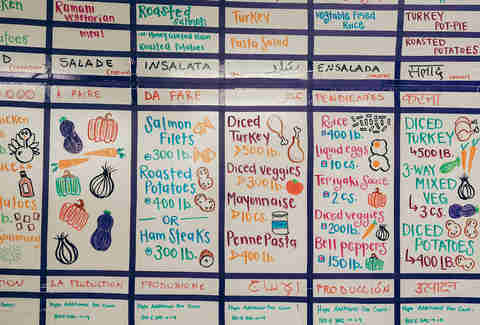 What’s one thing that most people don’t know about you and DC Central Kitchen? What makes this kitchen work is our 150 employees, and 65 of those are graduates from our culinary job training program. These are the afflicted, homeless, unemployed, or formerly incarcerated. They are working for us, and they are part of the larger issue. They have had trouble getting a job, but we are hiring. We are a functional and sustainable organization, and we need to empower people. Volunteers, more than 15,000 annually, come here and they’re not just cutting carrots. They’re having a conversation with someone they never would have encountered. That conversation is what’s so important and makes this all worth it... A lot of the people that come through our kitchen are volunteer chefs. Chefs like José Andrés, Spike Mendelsohn, and Tim Ma are our friends. They are well-known and have been one of the first groups of people who supported us. The chefs get it. They help us fundraise with big events, and they know that food has the power to end poverty. But, they don’t just fundraise for us. Chefs come here to the kitchen and help to teach culinary skills to our students. The food industry has been one of our biggest supporters since day one. Tim Ebner is a food and travel writer based in Washington, D.C. Follow him on Twitter @TimEbner.